I got two very neat, enjoyable and just awesome gifts this year from the family that cannot be a better match, one definitely making the other even more enjoyable. I am talking of a Garmin Forerunner 305 running watch and a Girmi 5000 gelato maker!! 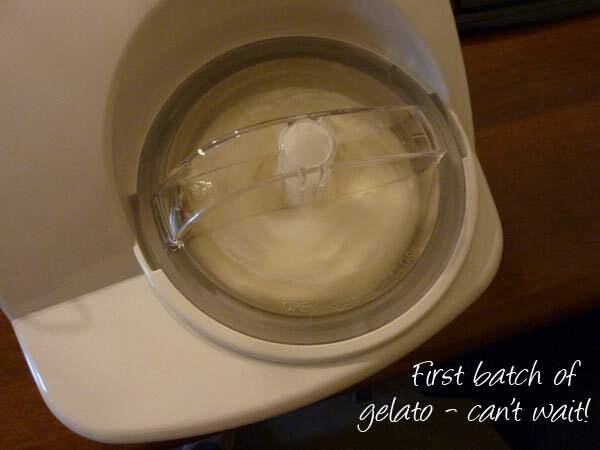 See, I can’t in all good conscience enjoy the gelato maker as much as I am going to enjoy it if I didn’t have the running watch now to use to plan my runs and training, a requirement to burn all those extra calories I am already eating this holiday season and in the very near foreseeable future! 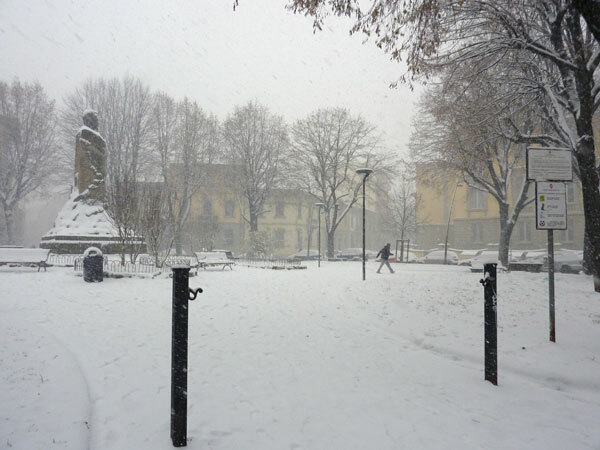 The half marathon that was supposed to be run in Pisa – and the one I’ve been training for the last 3 months – was canceled last minute due to the extraordinary conditions caused by the snow here in Tuscany. Airports in Pisa and Florence are closed, the trains are not moving, the roads are blocked so there is no way to get there. 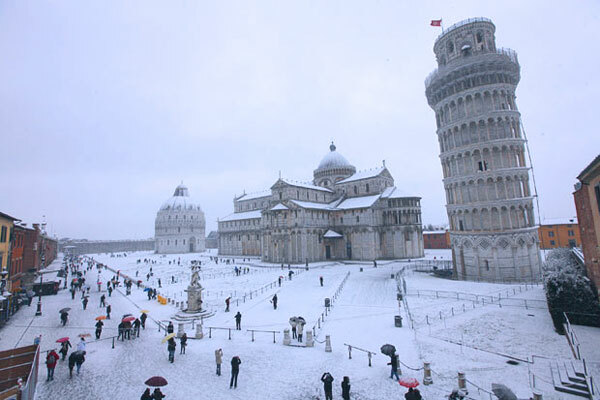 The Piazza dei Miracoli, with the Leaning Tower as you can see above, was to be the finish line and it is nicely covered with a layer of snow. I guess if the roads are still icy because no salt has been thrown yet it is better for the safety of everyone for it to be canceled — but what a disappointment! 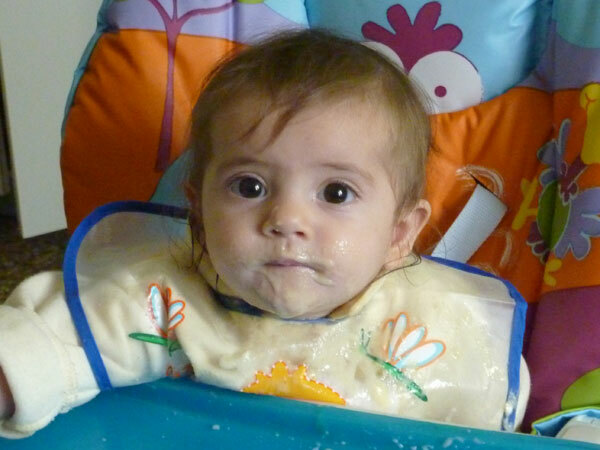 This is how Viola, my 8 month old niece, usually gets when she is eating. She loves her food these days, has grown a lot over the month and half since she started being weaned. I think she was likely quite hungry before, as even what she is given now seems to not be enough! She finally also lets her aunt hold her without crying for her parents, and she has started to laugh and smile when her aunty makes faces at her! I am currently in a love affair with bread. And I don’t even eat very much bread! I love the smell of the kitchen when it is baking. I love taking it out and hearing the hollow sound it makes and love LOVE the sound of breaking the crunchy crust the first time a piece is cut off, often not yet completely cool. 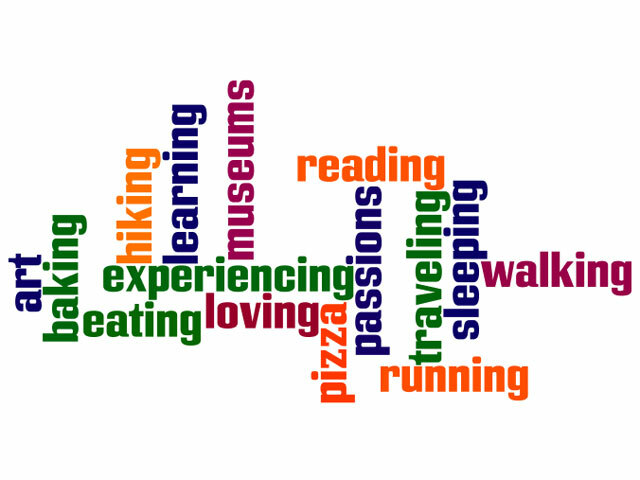 Playing around with this really neat applet called Wordle – you put in random words or whole phrases and it places them all around to create a really neat whole. You can change font, colors and the placement – go ahead, take a little break and play around with words that pop into your mind. Mine are a few of my passions :). I got really lucky this morning with the rain. Forecast said rain all morning with chance of a break in the afternoon (which is true as it is 2pm as I write and the sun is even shining!) but last night I thought to myself: if tomorrow morning it isn’t raining when the alarm goes off, I make myself get up and go on my week’s long run (10 miles). The morning was gray but it wasn’t raining, so I made myself get up and go! 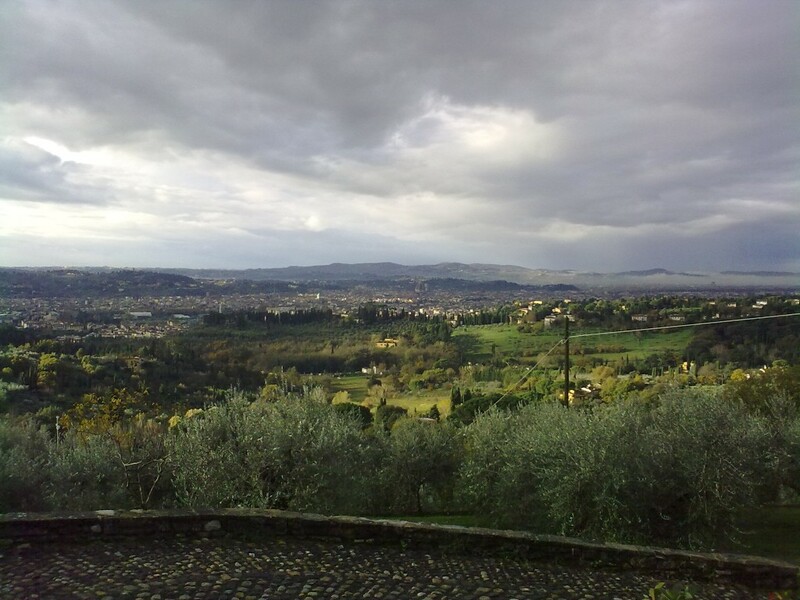 There was a little bit of drizzle on the hills but I even enjoyed a ray or two of sunshine up near Maiano. 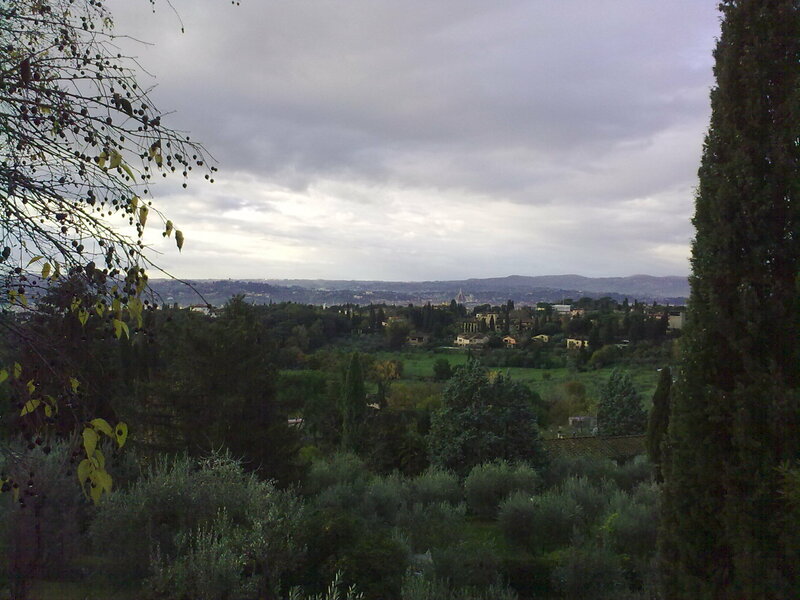 Here are two shots of the beautiful view I had of Florence on the furthest part of my run – can you make out the Duomo? 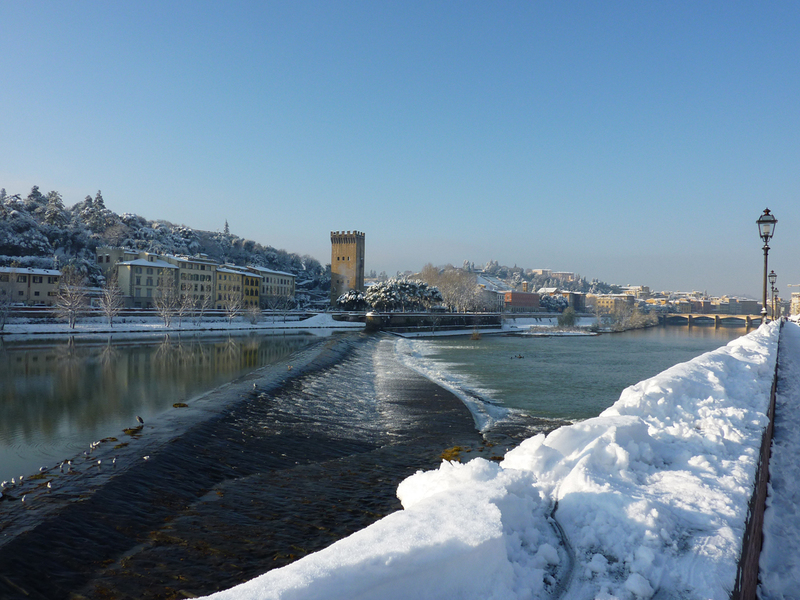 Shortly after I got back, it started to rain – again! So even if my knees are a little achy after my run, I am really glad I got up and went running… maybe I’m starting to finally catch the bug! Last Sunday we went on a hike even if it is November and the weather has been pretty awful lately. But the day promised no rain for once, just gray skies and we wanted to go out for a few hours and enjoy some fresh air. 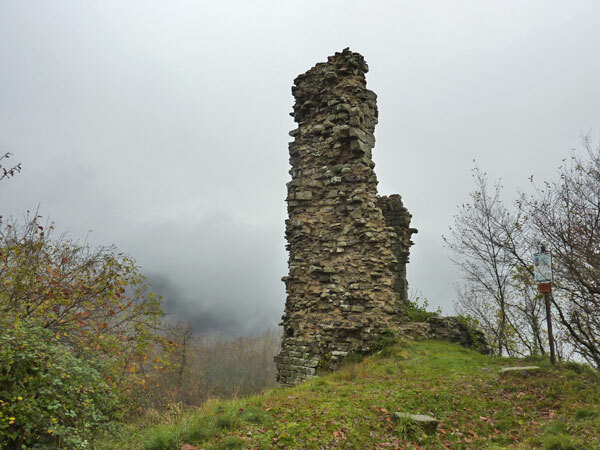 I’ve been wanting to share some of our pics with you, because despite the light drizzle and the slippery stones that ended up with a soaked foot for half of the hike, we really enjoyed our hike in November. I’ve been experimenting with the No Knead bread offered by Matt Bittman on the NYT over the entire summer, making about 1-2 batches each week. Depending on the weather, humidity, heat etc results have greatly varied. 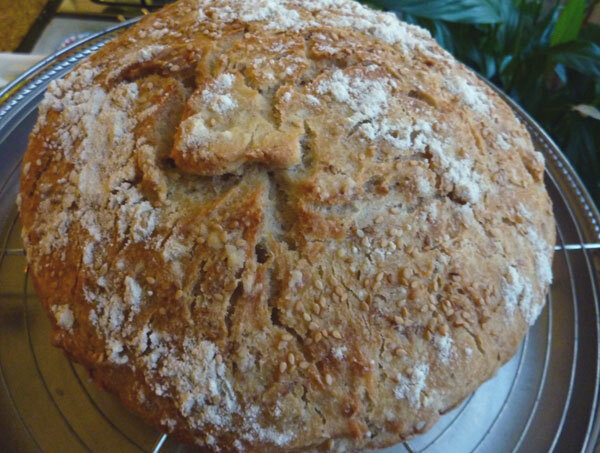 The recipe also calls for specific temperature that is impossible to control at least in my bread making trials. 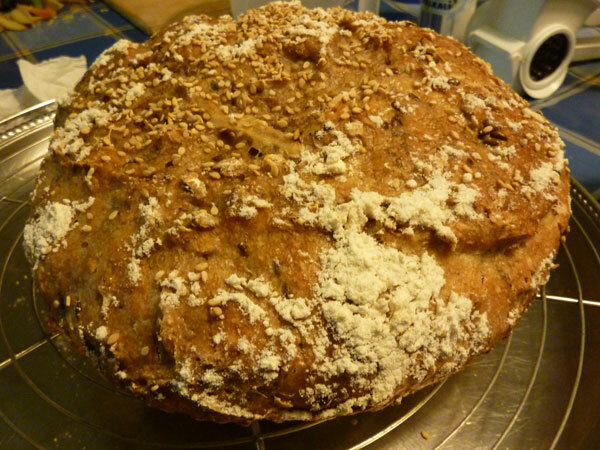 I’ve experimented with it, adding various types of cereals and seeds to the dough. I’d adapted the measurements to use my scale and I’ve learned the amounts. Unprepared, we were biking back to the office when it started to sprinkle. 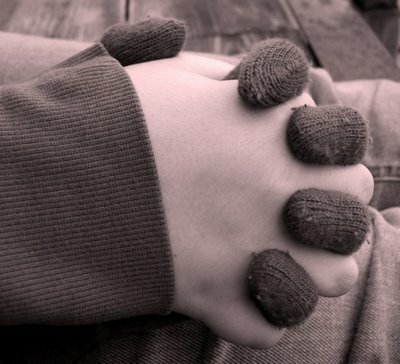 “My hands are freezing”, I answer. “Here” he says, as he stops, takes out his gloves from his pocket and hands them over. He then starts to cycle away.